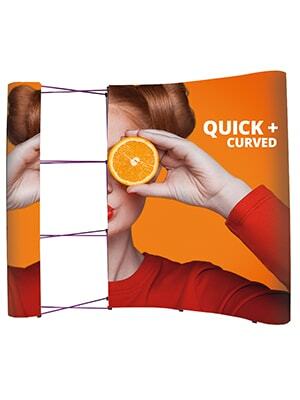 The Quick+ Curved has been innovated to be the best pop up yet and is packed with detailed designed features to ensure that the product is quick and easy to put up and the graphics even easier to hang. 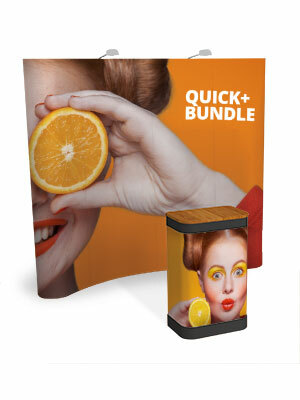 The Quick+ Bundle is a fantastic package in top-class Pop-up stands. 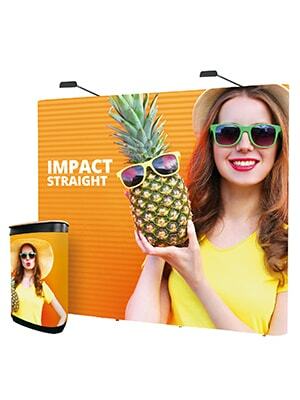 The bundle is comprised of the unique Atlas case, which can be linked together to form longer counters, also included is the bright 150w PS1000 and the innovative 3x3 Quick Plus. 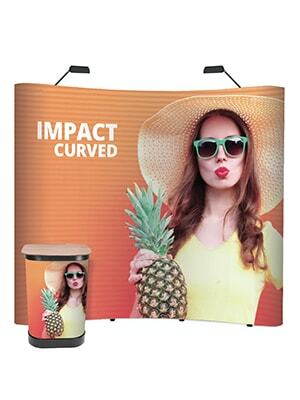 The Quick+ Straight Bundle is a fantastic package in top-class Pop-up stands. 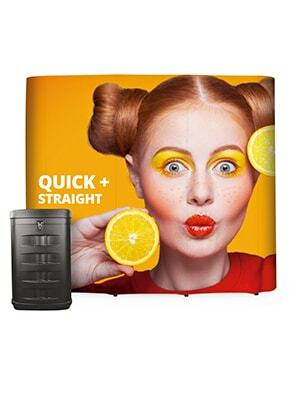 The bundle is comprised of the unique Atlas case, which can be linked together to form longer counters, also included is the bright 150w PS1000 and the innovative 3x3 Quick Plus. 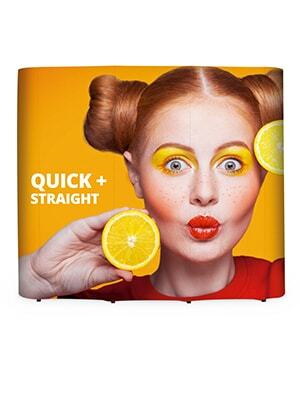 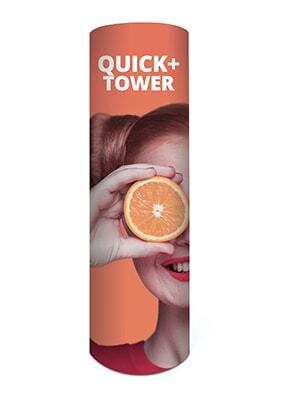 The Quick+ Straight has been innovated to be the best pop up yet and is packed with detailed designed features to ensure that the product is quick and easy to put up and the graphics even easier to hang.